Cranberry-Ginger Punch and Cranberry Baked Brie. 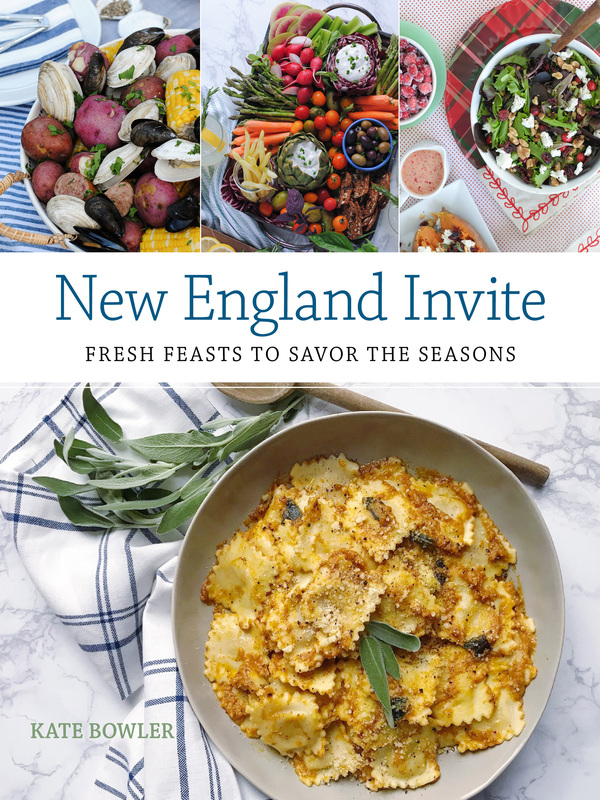 As the holiday season starts off, I love dusting off the entertaining skills and brainstorming new ways to celebrate with family, food and drinks! When I’m coming up with new recipe ideas, I always like to start with in-season ingredients. Around Thanksgiving and into the Christmas season, there is nothing tastier (and local to my area!) than using cranberries in recipes. 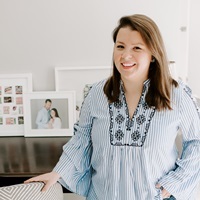 I’ve found countless ways to add them into my entertaining mix in the past and continue to find new ideas for incorporating them into drinks, appetizers and décor. This holiday season, I thought it would be fun to try two new cranberry-driven concepts that are perfect for entertaining. 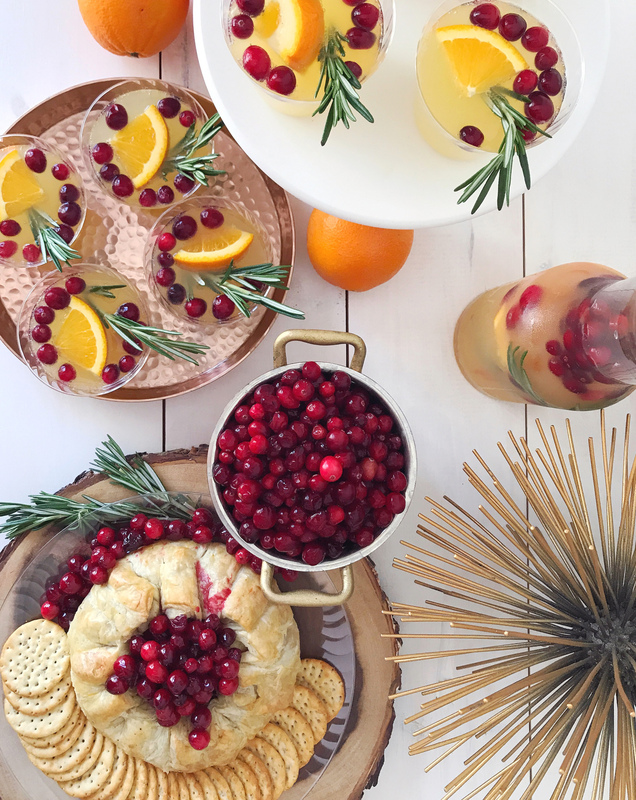 A cranberry-ginger punch cocktail to serve to my guests, paired with a cranberry-glazed baked brie filled with juicy berries and nuts. To make the punch, I muddled cranberries, oranges, and a bit of rosemary and sugar together and combined it with a dash of orange juice, some ginger beer and vodka over ice. 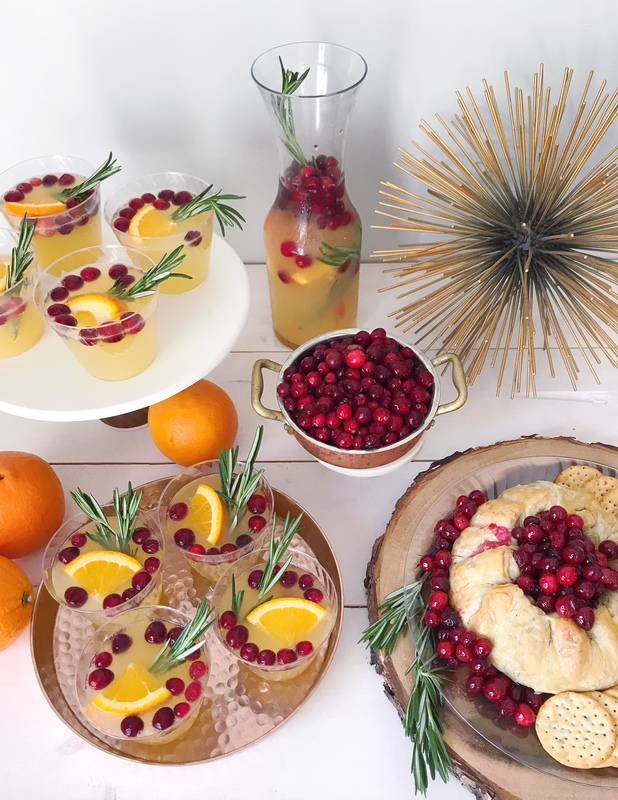 The sweet citrus of the oranges, tartness of the cranberries and bite of the ginger beer are a tasty combination for a holiday-flavored punch. I would love to pour all of the ingredients in a giant punch bowl, but really, who owns a punch bowl anymore? I’m all for cutting down on serving pieces that collect dust in my pantry, and instead approaching the punch with a more modern serving approach. I make one batch and pre-pour it into Chinet® Cut Crystal® cups so that guests can grab the cocktails off the bar. It looks festive with the drinks garnished on display! You can make a second batch in a pitcher and leave it out for refills when guests are ready for another pour. 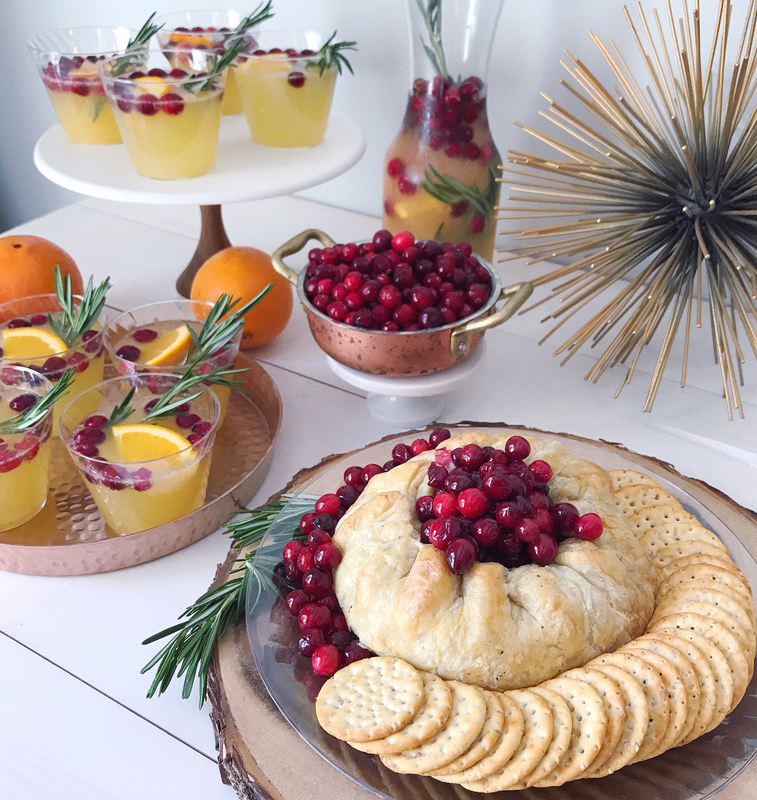 To pair with the cranberry-flavored cocktail, I made a complementary snack – a spin on a classic holiday appetizer: Baked Brie. I combined cranberries, brown sugar and a bit of the orange zest (to pull in the citrus flavor of the cocktail) in a saucepan to create a topping for the baked brie. Wrapped in pastry dough and baked, I topped the brie with the cranberry mixture and some chopped pecans for more flavor and texture. The result is that warm, gooey cheese that I love to slice into at a holiday party. I hate cleaning up that amazing melted cheese off of plates though at the end of an event, so I serve it on Chinet Cut Crystal plates. It looks polished on the table and saves me the headache of scraping cheese off my serving dishes after everyone has gone home for the night – just pop it in the recycling bin instead! You can even use these plates as a buffer on top of a charger that isn’t normally safe for food, like the one I used here – a slice of a tree stump for a rustic, natural look. 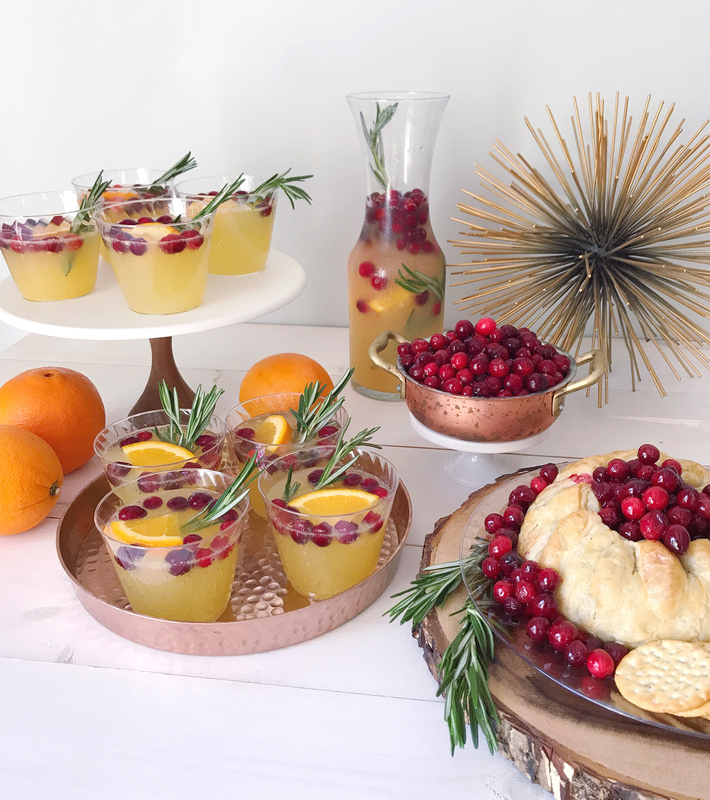 For both the cocktail and the baked brie, I added a few rosemary sprigs for garnishes, which is one of my favorite holiday season tricks. They smell delicious and have that pine-look that feels right on point with my holiday decorations. Get the cocktail recipe below and tell me what’s on your holiday menu in the comments! Muddle cranberries, oranges, sugar and rosemary sprigs in a pitcher. Fill pitcher with ice and top with orange juice, vodka and ginger beer. 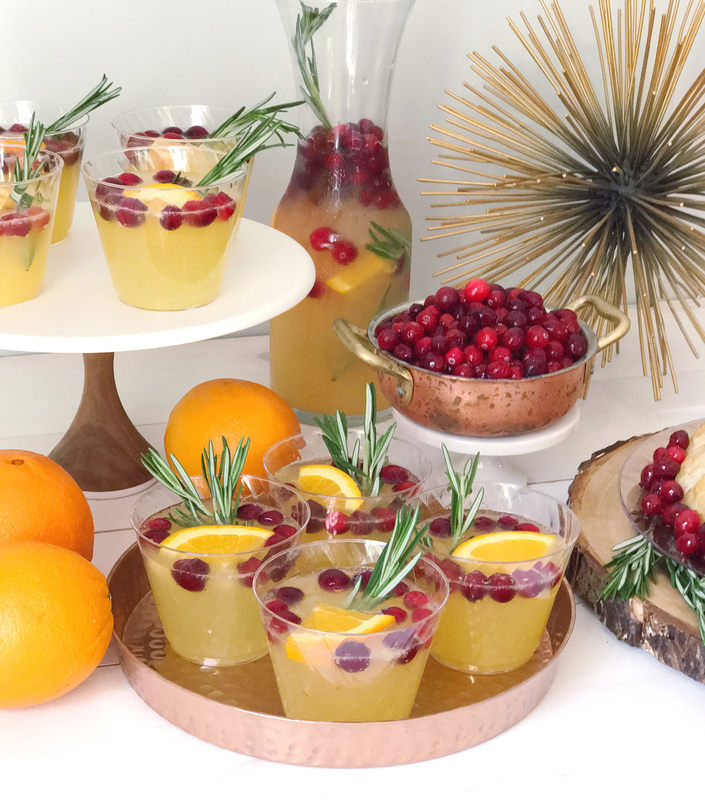 Stir to combine and serve with cranberry, orange and rosemary garnishes. Please note: This post was created in partnership with Chinet. All opinions, images, and content are my own. Thank you for supporting brands that support this site! Thanksgiving Leftover Pot Pie. DIY Holiday Wreath Bread Bowl.